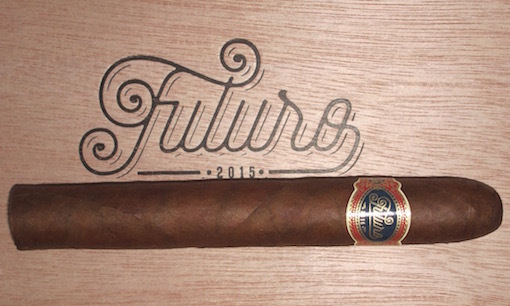 After the Warped Futuro Selección Suprema earned our first top rating of 2016, I decided to check out the other vitola from the release, the slightly larger Selección 109 (6 x 52). The cigar, which carries an MSRP of $9.75, features a head that is rounded at the top but with a little more taper above the band than a traditional parejo. Once lit, it produces a full-bodied combination of powdery sawdust, earth, paper, and savory, salty notes. The 109 is slightly fuller-bodied and maybe a touch less complex than its smaller brethren, but both are easy to recommend.